EARTH TO COLORADO CONGRESSWOMAN DIANA DEGETTE!! Madison, WI (LifeNews.com) -- Wisconsin scientist James Thomson is considered the father of embryonic stem cell research for isolating the first embryonic stem cell in 1998. Now comes the news that Thomson's two research companies are merging and planning to focus their energies on stem cells that don't involve the destruction of human life. Thomson's team made headlines last year when he and a separate group of researchers from Japan were able to reprogram adult stem cells into an embryonic-like state. 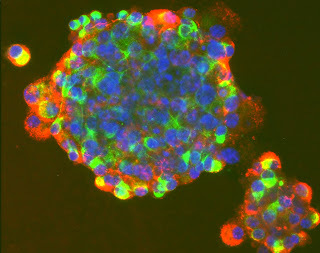 The work with the induced pluripotent stem cells, or iPS cells, has been so exciting within the scientific community that some researchers suggest the use of embryonic stem cells, which have never helped human patients, may become obsolete. Thomson still says he thinks embryonic stem cell research is needed until the new iPS cells are perfected. "I personally believe that the future is in the (adult skin) cells," said Thomson, speaking during a press conference on Tuesday. "But the future is not here yet." Thomson says his merged company is "moving rapidly" towards marketing the reprogrammed cells for use in other experiments and, one day, helping patients. Wesley J. Smith, a leading bioethics author and attorney, said he was excited by the news that Thomson is moving in a more ethical and effective direction. "I can't think of any more vivid example of the dramatic change in the scientific and political paradigms regarding stem cell research than James Thomson, the discoverer of human ESCs--moving away from embryonic stem cell field and into IPSCs," he said. "We know why, of course. Cloning hasn't exactly panned out, besides which it would be far more contentious, dangerous for women due to egg procurement, complicated, and expensive. But IPSCs have really changed the paradigm," he explained. Marjorie Dannenfelser, the head of the Susan B. Anthony List, also praised the news. "This will certainly saves lives both of human embryos and of children and adults afflicted with various diseases because the real cures lie with adult stem cell breakthroughs," she told LifeNews.com.